Thomas Keller in Men’s Journal. I had not heard about the article until someone sent me an e-mail about it last week. Once I found the issue, I was happily surprised at the number of pages and images dedicated to Keller. While the article says every “man” should master these meals, anyone who is learning how to cook or wants to try a new dish, will enjoy the read. It will help you spice up your approach to lamb chops and chicken, to name a few. 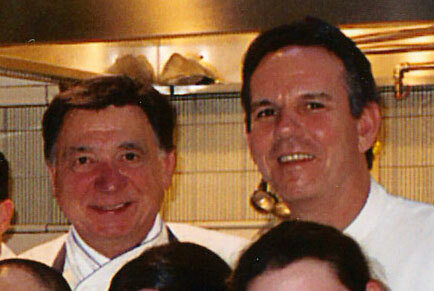 I was fortunate enough to meet Thomas when he was a young chef in the Northeast years ago. He and I built a special bond in the kitchen and it has been my absolute pleasure to watch him achieve such great success. Thomas is the only American chef to ever receive three-star Michelin ratings for two different restaurants at the same time. He has received such honors for The French Laundry in Yountville, Calif., and Per Se in New York City. The most prestigious culinary organizations in the world have awarded Thomas a number of times. He truly is one of the best and brightest chefs ever. There are many things that have impressed me about Thomas over the years. One thing that always stands out is how hard he works on everything he does. It doesn’t matter if it’s a meal for a friend or a meal for the President, Thomas gives it his best. You’ll be able to see his dedication in the Men’s Journal article, and hopefully pick up some delicious tips. Happy reading. I am back on the road this week. This entry was posted on Wednesday, August 4th, 2010 at 9:23 pm and is filed under Uncategorized. You can follow any responses to this entry through the RSS 2.0 feed. You can leave a response, or trackback from your own site.